Utility is the title of choice for decision makers at all levels of water and energy utilities, as well as other major players like consulting engineers and first-tier contractors. Utility is integrated across print and online, and explores the biggest news and issues across the utility industry. It is Australia’s only dedicated utility magazine, and covers all areas of the utility sector, including water and sewer, gas, electricity, communications and the NBN. Every issue of Utility features thought-leading content from senior figures and independent experts in the utility space. These industry leaders look at major projects, policy, technologies, equipment, processes and the significant factors impacting Australia’s utilities now and in the future. Utility is Australia’s most powerful and widely-read communication tool for the utility industry. It’s an exciting time to be involved in the utility industry in Australia, as the digital revolution drives utilities to become more customer-centric, improve operational efficiency and excellence and embrace big data opportunities. At the same time, the sector is also facing challenges around future energy sources, grid modernisation and water security. From smart meters and cyberattacks to rooftop solar and energy storage, new technologies, evolving business models and changing consumer expectations are disrupting the utility industry. With so much change and so many new opportunities, it’s never been more important to have a consistent voice to help the industry to deal with some of the challenges it is currently facing. Utility is committed to being the voice the industry turns to, sharing ideas so that the sector can deliver affordable and reliable water and electricity services to Australians everywhere. Utility is edited by Charlotte Pordage, an experienced journalist, editor and content creator. Charlotte is interested in the utility industry because it is the lifeblood of Australia’s economy, serving millions of homes, businesses, schools and hospitals in order to keep the lights on, taps running and gas flowing. The traditional utility business is under pressure, however, and Charlotte is excited to report on how utilities can navigate this change. With a strong writing background, Charlotte has experience in journalism, editing, print production, content marketing, event program creation, PR and editorial management. 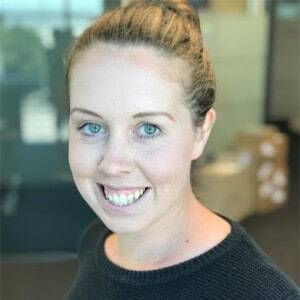 Her favourite part of her role as editor is keeping up-to-date with the latest trends and technologies, and working with utility professionals to create high-quality, engaging content. Utility is published by Monkey Media, one of Australia’s leading trade publishers in the infrastructure, utility and energy sectors. In addition to Utility, Monkey Media also publishes Infrastructure, Energy and Pump Industry. Monkey Media is also the organiser of highly regarded industry events including Asset Management for Critical Infrastructure and Digital Utilities. While the way the world communicates has changed rapidly over the last 20 years, the need for tailored, quality industry information has not. At the core of Monkey Media is a team of editors, journalists and designers with in-depth knowledge of the industries we work in, and an ability to put that expertise to work to create high-quality, engaging and thought-provoking content. 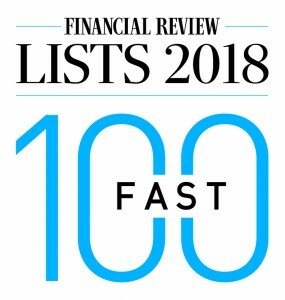 Monkey Media’s growth over the past few years has bucked the trend of most media companies, and in 2018 we were listed in the Australian Financial Review’s Fast 100. A free print subscription to Utility is available to all utility industry professionals in Australia – click here to subscribe.